The Doctor makes a house call to the Alpha Quadrant when he learns that his programmer, Lewis Zimmerman, has a tragic and inoperable case of terminal baldness. - Robert Picardo enjoyed playing two roles in this episode: "I play not only The Doctor, but his programmer, Dr. Lewis Zimmerman. So I achieved a lifelong ambition of working with an actor who I've admired. Of course the hardest thing about acting with myself was coming up to my own level. I was very demanding, but also very generous, as an actor I gave myself everything I felt I deserved and more." - Marina Sirtis (Counselor Deanna Troi), Robert Picardo (The Doctor / Lewis Zimmerman), Ethan Phillips (Neelix), Dwight Schultz (Lt. Reginald Barclay), and Jack Shearer (Admiral Hayes) all previously appeared in Star Trek: First Contact. With the exception of Phillips, all of them played the same characters in the film. - The EMH disguises himself as a female member of the Tarlac species from Star Trek: Insurrection in order to examine Dr. Zimmerman. - This episode is the first (and only) time that a piece of the USS Enterprise-E is seen on a Star Trek television series, in this case, Counselor Troi's quarters or office. - This episode remains one of only two Star Trek episodes in which a cast member receives a writing credit, as it was written by Robert Picardo. The other was TAS: "The Infinite Vulcan", written by Walter Koenig. - Lewis Zimmerman, previously appearing in episodes DS9: "Doctor Bashir, I Presume" [FanFare link --ed.] 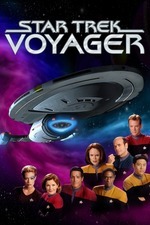 and VOY: "The Swarm" [FanFare link --ed. ], makes his final Star Trek appearance (although, strictly speaking, he has only appeared in this episode and DS9: "Doctor Bashir, I Presume"; the other occasion was a holographic version of himself). - Dr. Zimmerman comments that he hasn't left Jupiter Station in "over four years", referring to his visit to Deep Space 9 to interview Julian Bashir for the Long-term Medical Hologram between Stardates 50564 and 50712 in DS9: "Doctor Bashir, I Presume". This suggests that this episode takes place in early 2377. - Although Jupiter Station is mentioned in numerous episodes of Voyager as well as Star Trek: Deep Space Nine and Star Trek: Enterprise, this is its only actual on screen appearance. "You're still searching for that ship? What's it called... Pioneer?" "I'm a doctor, not a zookeeper." "I found a friend waiting for me at home." "The Enterprise is in the middle of a mission..."
"Oh, spare us your psychobabble!" "I came here thinking that you were opposite sides of the same coin; identical, but different. Now I see you're both exactly the same. You're both jerks!" "I also have an exceptionally high tolerance for difficult patients." "I didn't program you for sarcasm." The last time I did a rewatch of this, it was a DVD copy, and the Picardo-over-Picardo visual effects looked absolutely seamless. On the better-quality Netflix stream, you can make out the fuzzy bits in a few shots, but for my money this is still a damn impressive episode SFX-wise. And it's all the more impressive for being a solid story with some real resonance, and lots of effective humor to nicely counterbalance the pathos. Kind of astonishing that Picardo is the ONLY Trek actor to have a story credit in a live-action episode. Judging by the results here, maybe they should've done that more often! One wonders what Tim Russ would've done. If I have a gripe, it's that Zimmerman here feels so different as a character compared to "Doctor Bashir, I Presume? ", but that's pretty much to be expected given the story. And the fact is, it's kind of astonishing that Picardo and the dialogue make us care so much about Zimmerman, given that he was only a secondary character in his DS9 appearance. Anyway, yeah. Doubtlessly my favorite episode of season six. And Leonard may be my favorite Star Trek nonsapient. What a great name. We never see the Mark III or IV EMHs in canon, but when running one of my Trek RPG campaigns, I had to select a representation for one of them (I forget which), and I decided that Zimmerman chose an underused Enterprise medical officer. Giving Broccoli a chance to turn his love of holograms into something beyond the superficial or entertainment is icing on this cake. After watching this episode, I went back to "Doctor Bashir, I Presume" and watched a bit of Zimmerman, and while the character does seem a lot different in this episode, I can still see some continuity between the guy who thought that he was such a hot pistol that he tried to convince Leeta to go back to Jupiter Station with him and the sick, bitter, and prematurely-aged scientist who was in the process of updating his will. I'd note that Jupiter Station Diagnostic Program Alpha-11 from "The Swarm" was a bit scruffier-looking than Zimmerman was on DS9, so there's kind of an intermediate step there. I too noticed the composite-imaging or whatever they did to put Picardo next to himself, but I also thought that it was subtle but clever that they made the EMH taller, less gaunt, and maybe a little better-looking than his creator and life model, as you can see in this holophoto and in a few of the scenes. Overall, I was very happy with this episode, especially in comparison to the one before it, but also noting the things that I had missed or forgotten from the first watch. I honestly didn't remember that Haley was a hologram, and had forgotten about Leonard, although not the fly. Barclay and Troi were good (I've thought since First Contact that Marina Sirtis should have gotten more funny bits to do in TNG and the movies). The only very minor problems that I had with the episode--and this really has to do with the series and my knowledge of what is and isn't to come rather than the episode itself--is that there are a couple of things brought up directly or indirectly that are slightly troubling, in part because they don't really get dealt with adequately IMO. One is the legal status of holograms, with the unused Mark I EMHs being packed off to scrub plasma conduits. Aside from the questionable practicality of setting up holoemitters for scutwork (which has also been questioned WRT the holominers in "Author, Author" next season), once again we're reminded of the Federation's problematic attitude toward AIs. (In the past, I've questioned the premise of "The Measure of a Man" because I didn't think that the Federation would even consider sanctioning the retroactive disenfranchisement and disassembly of someone who'd been commissioned and decorated as a Starfleet officer, but the more we get into how the EMH and other sentient holoprograms get treated, the more I reconsider that.) When Zimmerman is adding to his will, it's unclear whether he considers Haley his legal ward or his property. The other thing is the mention by Admiral Hayes of the ex-Maquis. That sure sounded like someone was considering setting that up as a subplot going into the last season, but it was never really followed up on, even though we do get one more "We used to be Maquis" episode. As with so many other aspects of the ostensibly-ex-Maquis, it's disappointing. I loved this episode. It was funny and poignant and exceptionally well-written. One of my favorites of the entire series. Robert Picardo shines -- as he usually does when they put the spotlight on him. The Doctor: "What were your initial symptoms?" The Doctor interacting with himself makes me yearn for a Voyager made up entirely of Robert Picardos. He's just SO good at creating two very different characters here. You can see subtle differences in his bearing and body language between the two. (Halloween Jack, I never even noticed that he looks taller and thinner than his counterpart. That's a great catch!) The way he speaks changes as well. I very quickly forgot they were being played by the same person. Why did Troi need to ask which one of them was real, and which was the hologram? Shouldn't she be able to detect that? All of this is perfectly in line and believable from what we have seen of our own EMH over the years. Kudos to the writers for writing a scene where The Doctor shuts off Leonard " Computer, deactivate iguana." -- something he himself has always been extremely sensitive about. They also had him swat Roy! Our beloved hologram swats a holographic fly! Zimmerman: "No EMH was ever designed to be anyone's friend. He's just a hologram." Haley: "Is that how you feel about me? Just a hologram?" Zimmerman: *pause* "I will not be ambushed in my own lab." The entire scene is excellent, but that one moment... you can see on his face that she's hit a nerve, and everything else he says to her is window dressing. Zimmerman: "Computer, activate Voyager's EMH." The Doctor: "Please state the nature of the medical emergency." The Doctor: "Where's Lieutenant Barclay?" Zimmerman: "Trust me, you're in far more capable hands." The Doctor: "You're going to repair my program?" The Doctor: "Just yesterday you threatened to decompile me." Zimmerman: "That was before your colleagues made me feel guilty." The Doctor: "You're ill! You're in no condition to perform delicate procedures." Zimmerman: "I'll survive, but you won't if you don't relax and let me finish." The Doctor: "What are you doing?" Zimmerman: "My scans identified a recursive error in your pattern buffer. I'm trying to isolate it." The Doctor: "Is that a fractal algorithm?" Zimmerman: "Very good. I'm using it to realign your matrix." The Doctor: "Fractal algorithms are notoriously unstable!" Zimmerman: "In the hands of a novice. [The console beeps] Whoops." The Doctor [Alarmed]: "Whoops?! What's whoops?" The show needed more episodes like this one. 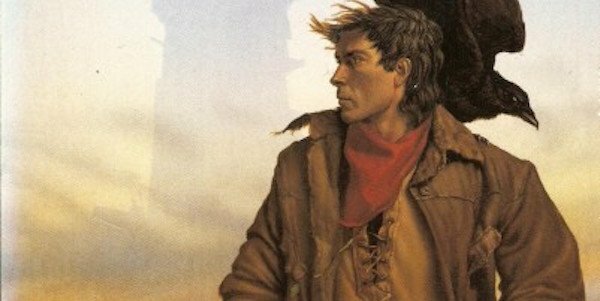 Good stories about characters we care about. Picardo has a story credit and good for him for contributing to his character's development. Well now I'm intrigued that Troi can sense the emotions of the EMH. Fantastic! Particle of the Week: Photons, of course. Pointless STO Comparison of the Week: In the era of Star Trek Online, holograms are used for a number of dangerous jobs. There's an entire prison run solely by holograms in one mission. * Credulity Straining Alpha Quadrant Contacts: 14. I'm not counting the Pathfinder array at this juncture. I'm with the crowd: this is a solid, funny episode with some earned pathos. I'd like to second Jack's wish that they'd let more Voyager actors do something like this, because they were a talented bunch. I even thought this was a pretty fun use of Troi and Barclay, which was a relief after the discomfort during the last episode they guest starred in. * AI stuff is bad in the Federation, per the usual. As always, this isn't really a Voyager-specific complaint, but it really leapt out at me. When Zimmerman is adding to his will, it's unclear whether he considers Haley his legal ward or his property. Right? That's creepy. And it's not that he did anything wrong, it's that this is what situations for AI come down to: they're property, and can only hope for benevolent owners, (which he is, and Janeway has become). As ever, I believe this. The difference between Data and the Doctor is mostly that Data has an obvious, tangible existence outside of whomever he's talking to, while the Doctor can be turned on or off with voice commands, even destroyed by them. Holograms being treated like slaves is completely understandable and consistent in Star Trek, (across all three TNG-era properties, even!)... it just skeeves me out. * The Maquis stuff was a little hamfisted. That sure sounded like someone was considering setting that up as a subplot going into the last season, but it was never really followed up on, even though we do get one more "We used to be Maquis" episode. As with so many other aspects of the ostensibly-ex-Maquis, it's disappointing. Right? More than that, it's inconsistent: Starfleet's already heard enough to know Chakotay's her XO. This felt clumsy. And mind you, that's a mild complaint in a good story. I don't want to make a ton out of it, but I did notice too. The Doctor interacting with himself makes me yearn for a Voyager made up entirely of Robert Picardos. He's just SO good at creating two very different characters here. You can see subtle differences in his bearing and body language between the two. Picardo's really talented at this. I was struck by it in Darkling, too: he really knows how to give a character a particular physical presence. So yeah, fun episode, good breather after last time.